Our range of this Mixer and Grinder includes wet grinder convention, dough mixer, planetary mixer and wet grinder tilting. They are extensively used in hotels, restaurants and parties. 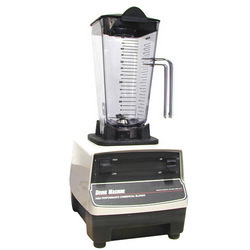 These grinding machines are well-known for its high durability and low maintenance. These machines are highly appreciated for their features like high performance, less power consumption, robust construction and easy maintenance. 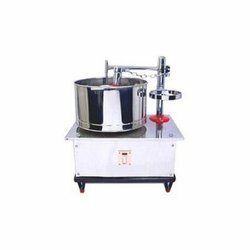 These mixers and grinders are in high demand in various industries and can be availed by our clients at affordable rates. Our clients can avail from us exclusive range Dough Mixer that is appreciated for their quality and available in the market for most competitive prices. Our ranges of these mixers are constructed with a deep mixing chamber, which is supported by two side frames to share the load. They are fabricated using superior quality machines that are sourced from trust worthy vendors in the market. These are highly appreciated for their efficiency and ease of handling. They are well known for their optimum performance and low power consumption. We manufacture and supply Food Blender in different capacities which are highly suitable for mixing spices, powders and pickles. They are very to maintain and clean. We make this multipurpose machine which is known for their superiority, durability, reliability and affordable price. Its high productivity, large take up capacity and wide twist range make this a very reliable machine for the industry. We offer a wide range of Convention Wet Grinder that grinds the wet ingredients such as rice, pulses, soy and spices. 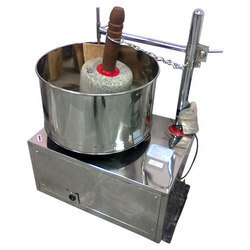 We provide custom made grinders to the clients as per their specifications. They are highly durable and contain high performance. These wet grinders are fitted with graded black stones along with a powerful motor for effective grinding. These are available in different standards, specifications and sizes as desired by our esteemed clients. Clients can avail these at market leading prices. We are able to offer Wet Rice Grinder. 1.This machine is suitable for the material crushing by the industries of pharmaceutics,chemical,and foodstuff etc. 2.The machine uses the relative movement between the active fluted disc and the fixed fluted disc to impact, grind and crush the target materials. 3.The size of granules can be achieved by changing of the screen.The machine has the features of easy structure, solid, stable running and good efficiency. 4.The crushed material is discharged directly from the grinding chamber of the main frame. In addition, the whole machine is made of stainless steel, with smooth inside walls to avoid powder accumulation on the inside walls. 5.Those pharmaceutical, chemical and food stuff products from the machine are in accordance with national requirement. 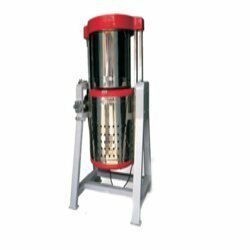 We hold expertise in providing a qualitative range of Wet Grinder Tilting which is manufactured using superior quality machines that are sourced from trust worthy vendors in the market. They are easy to use and maintain. Our ranges of products are widely known for its simple controls, low maintenance, low noise production and high performance. They are available in various designs and sizes. These products are also checked stringently by quality analysts to ensure that flawless range is supplied to our customers. Looking for Mixer And Grinder ?